Golden stand with glass decorative bowl this bowl will be a conversation starter. 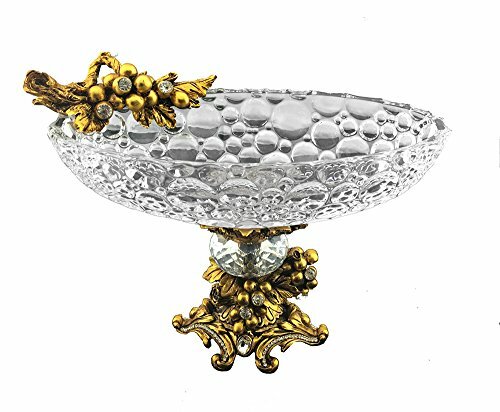 It features a Gold stand with shimmering crystals on dish platter for your candies or any centerpiece dish that deserves the looks. Perfect for dinners or candy! If you have any questions about this product by ThreeStar, contact us by completing and submitting the form below. If you are looking for a specif part number, please include it with your message.